Term 1: Basic Movement (Running), Catching and Perceptual Motor Program (PMP). 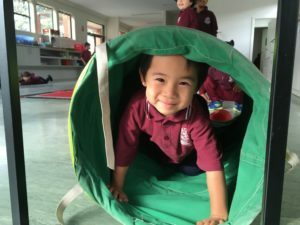 Term 3: Gymnastics/ Dance, Throwing and Ball Bounce. Term 4: Aquatics (Swimming), Teamwork and Striking sports. Term 1: Fitness and Fundamental Motor Skills (Catching). 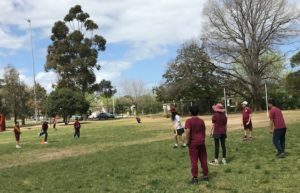 Term 2: Fundamental Motor Skills (Throwing) and Ball Bounce. 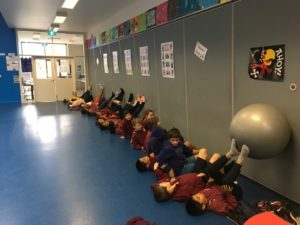 Term 3: Gymnastics/Dance, Kicking and Invasion Games. Term 4: Fundamental Motor Skills (Striking), Teamwork and Aquatics (Swimming). Term 1: Fitness Testing, Athletics, House and District swimming. Term 2: Fundamental Motor Skills (Kicking), Athletics (House) and Cross Country. Term 3: Invasion Games, Gymnastics/Dance and Athletics (District). Term 4: Fundamental Motor Skills (Striking), Aquatics (Swimming) and Modified Games. Term 1: Fitness Testing, Athletics training and Aquatics (House and District swimming). Term 2: Interschool sports (Winter Sports), Athletics (House), Cross Country and Fundamental Motor Skills (Kicking). Term 3: Invasion Games, Athletics (District), and Gymnastics/Dance. Term 4: Interschool Sport (Summer Sports), Aquatics (Swimming) and Fundamental Motor Skills (Striking). 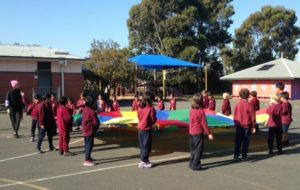 Glen Huntly Primary School has also been able to secure Australian Government Sports Commission grant funding to run the Active After School Communities sports programs, where outside expert instructors provide three one hour sessions on three afternoons per week, covering sports such as circus skills, golf, cricket, fencing, soccer, basketball, tennis, badminton and athletics. 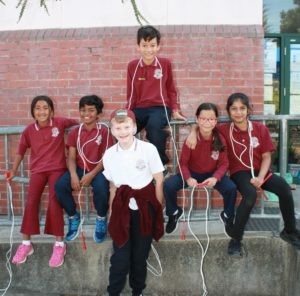 Glen Huntly Primary School regularly participates in extra-curricular sports activities such as Jump Rope for Heart and the Ride2School program, to further promote health and wellbeing and student involvement in and confidence with physical education. 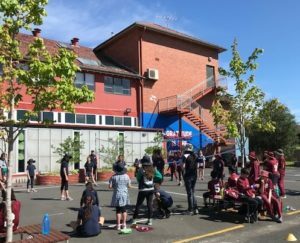 Glen Huntly Primary School also runs a successful Perceptual Motor Program (PMP) for all Prep students. 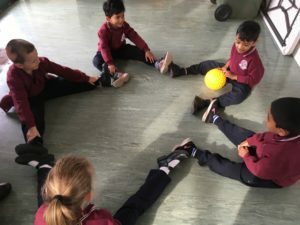 This is a very important program, which assists students to develop the motor skills of balance, locomotion, eye/hand/foot coordination, concentration, spatial awareness and short term memory.